Our Tipping Garden Trailer is designed to be towed by a garden tractor/sit-on-mower and is ideal for the medium-large sized garden. Body tips backwards to deposit leaves or grass etc. 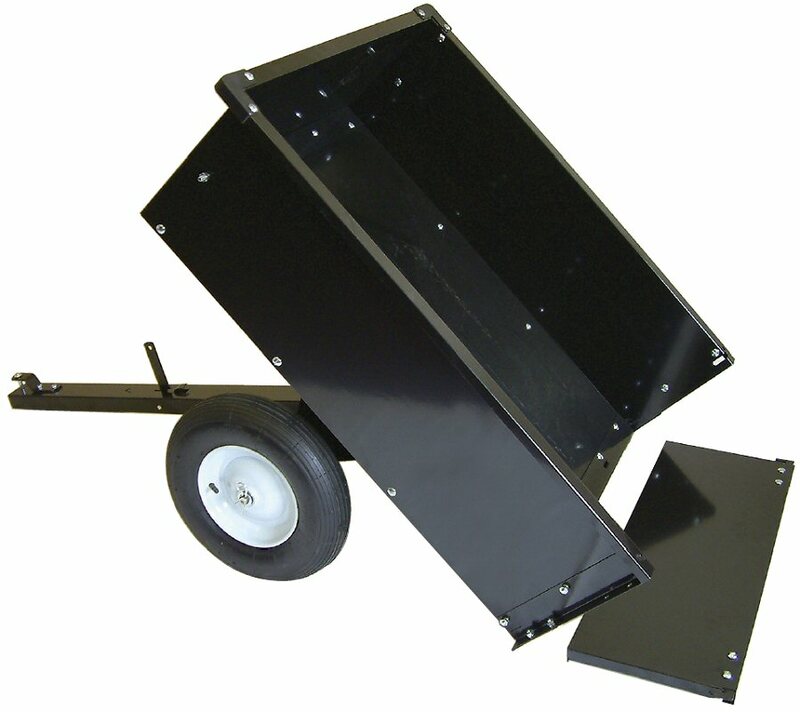 Robust & solid construction for loads up to 500lb (230Kg). Overall size: 119cm long, 58cm wide, 30cm deep.